Play the new Wild Worlds slot from Netent with 5 reels and 5 rows with Avalanche symbols. Features are: Hero Wilds, random Destroy and Free Spins. Wild Worlds is about superheroes. Save worlds and fight monsters. The fun begins with the Destroy Feature which removes from the reels symbols of all colors but one. While experiencing the game, you will be also awarded with the Hero Wilds feature, where a win on the Hero symbols turns them into Wilds. 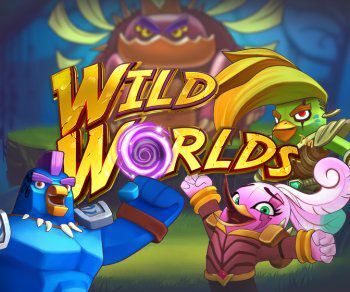 Travel through different Free Spins worlds, where every world welcomes players with special Wild features and be sure: saving worlds has never been more fun.